MORPHIC will validate both the silicon photonic MEMS technology and the FP-PIC platform on three applications that benefit from low-power reconfigurability: an optical switch matrix, an optical beam forming network and a programmable microwave photonics filter. The third general meeting was hosted by EPFL in Lausanne, Switzerland, on November 15th and 16th, 2018. 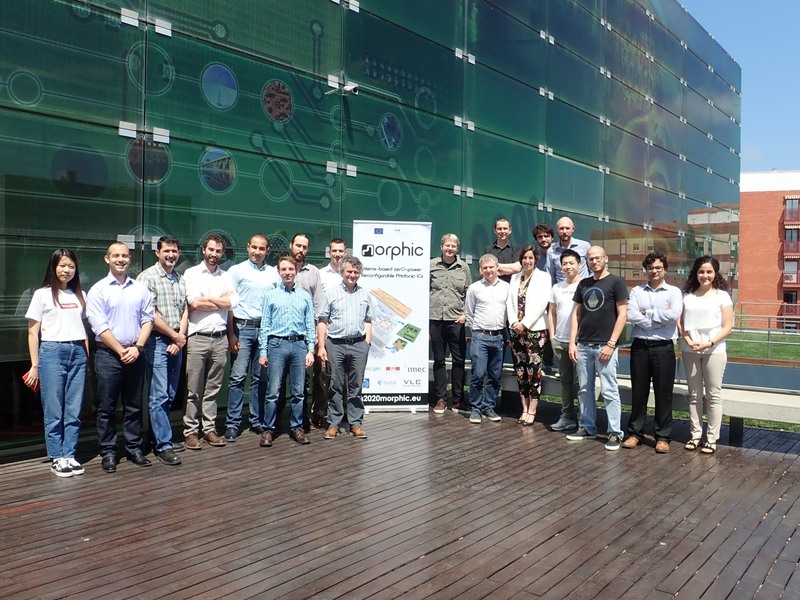 The consortium meeting were hosted by VLC in Universitat Politècnica de Valencia, Spain, on 29.05.2018. MORPHIC consortium has started developing the key MEMS-based building blocks on imec’s ISIPP50G technology. MORPHIC consortium had the project kick-off meeting at Ghent University Belgium on 11.01.2018. The MORPHIC consortium is especially well suited to realise the ambitions defined above. It combines all the relevant expertise in silicon photonics, large photonic circuits and circuit design, MEMS and especially waveguide-based MEMS. The starting point of the technology development is based on an IMECâ€™s established technology platform that has demonstrated world-class performance. The two industrial players (VLC, COM), as well as two industrially oriented research centres (IMEC, TYN) guarantee a broad perspective on the possible application and provide a scaling route to volume production beyond MORPHIC.